We are a reputed trader and exporter of a wide variety of stainless steel and Duplex steel strips that are manufactured using quality steel and latest technology. Designed as per the application requirements of differed industries, these stripes are available in thickness of 0.05 mm to 3.00 mm and width of 6 mm to 460 mm. Complete range of Stainless Steel Magnetic / Non-Magnetic grade Sheets, Plates Coils. Finishes Dull gray matte, to bright and highly reflective. Finishes may vary with alloys, tempers, and gauges. 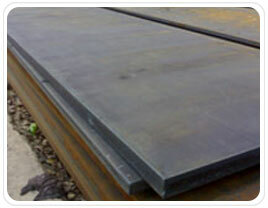 Edges ROUND EDGE, SLIT EDGE, OR SQUARE EDGE can be provided as per user requirement. Tolerances A.I.S.I tolerances, your special tolerances, or extra close tolerances upon request. Stainless Steel 200, 300 & 400 series, Duplex steels. Standard as well as non standard sizes are available. State of the art service center for your processing requirements. Well protected stock yards for safety of material. Stainless Steel Non-Magnetic grades 202,301, 304, 304L,304H, 316, 316L,316H, 310 ,321 etc. Stainless Steel Magnetic grades 409, 409M, 410, 410S, 420, 430, 431 etc.